Larry Gibson's World of Music, etc. Random thoughts from a singer/songwriter, music entrepreneur, & home recording enthusiast. 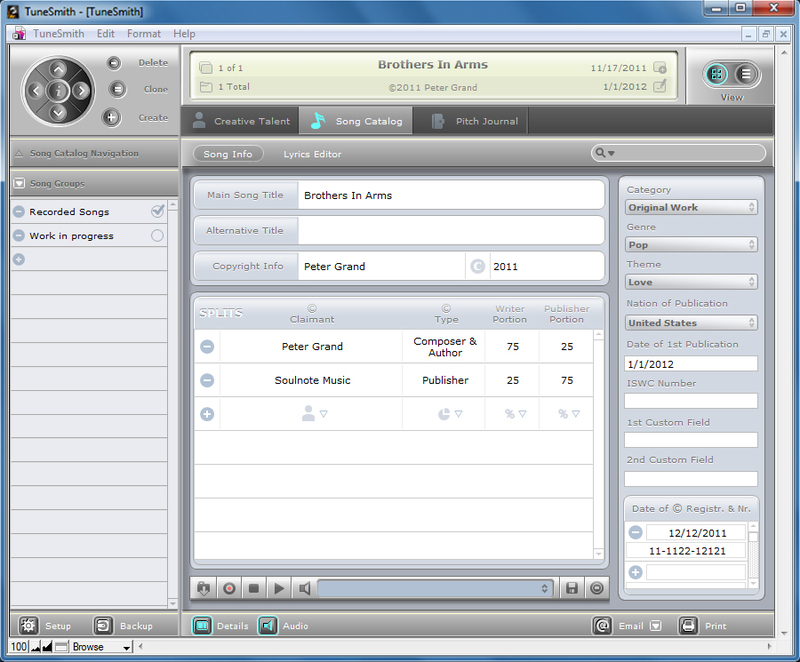 In the “no-cost” category was an intuitive cross-platform software package from Idolumic called, TuneSmith. Like most people, I was immediately drawn to it because it was “free” and soon discovered that it delivered much more value than one might expect from a freebie. I downloaded it, took it for a “test drive,” and am now using it as part of my song creation and administration strategy. 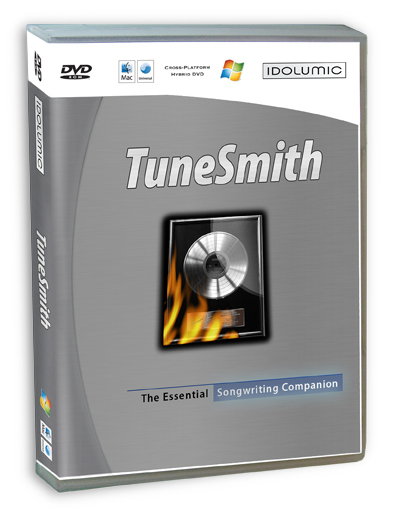 TuneSmith offers songwriters a comprehensive set of tools for creating and administering songs that centers around three interactive categories . . . creative talent, song catalog, and pitch journal. Creative Talent is where you enter the personal/contact information of collaborators, co-writers, publishers, managers, lawyers, artists, etc. that you are in contact with regarding your songs. Song Catalog contains all the essential information about your copyrights, and provides tools to help you hone your songwriting craft, including a lyric/text editor. Also, you can use the built-in audio recorder to quickly capture your melodies and manage all the cover versions of your songs. Pitch Journal allows you to track your song submissions by finding out who has put your songs on hold, who has recorded your compositions, who has entered the charts with one of your hits, etc. A customizable task list/calendar helps you keep your song pitches organized and on track. TuneSmith provides you with tools to effortlessly create and administer a growing catalog. It can be installed on any computer without a serial number or activation. When paired with Idolumic’s affordably priced Rhyme Genie, TuneSmith becomes an invaluable songwriting companion that will help any songwriter stay organized and be more creative with greater ease. It runs on both MAC and PC platforms. 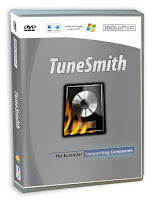 Visit their website today and download your complimentary copy of TuneSmith. Post your thoughts and comments in the comment section below. How did I not know about TuneSmith?! Thank you Larry!!! Subscribe via e-mail to get the lastest Blog updates e-mailed straight to your inbox! Larry is a Texas-based singer/songwriter whose music has been described as "great Southern Gospel music with a cool country flare." After a long hiatus from the music industry, he began his music journey anew in the fall of 2009. Larry is currently working on several new music projects. Blogs That I Follow . . .